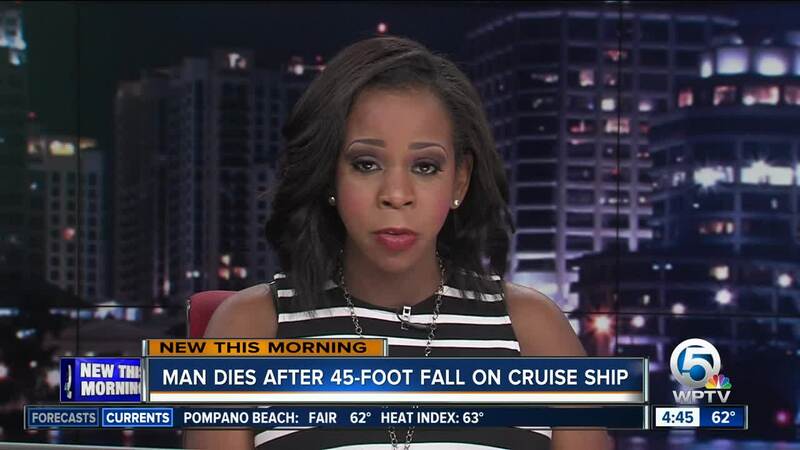 An autopsy shows a man who died after falling on a cruise ship in October had been drinking and plummeted 45 feet (13 meters) down a stairwell. The Palm Beach Post reports a nurse told investigators McGrory had been "drinking heavily" when he attempted to jump up a stair but lost his balance and fell backward. The autopsy showed his blood alcohol level was 0.256, about three times Florida's legal limit for declaring a driver impaired. Brian McGrory of Palm City said his son had been celebrating his bachelor party on the cruise from Palm Beach to the Bahamas.